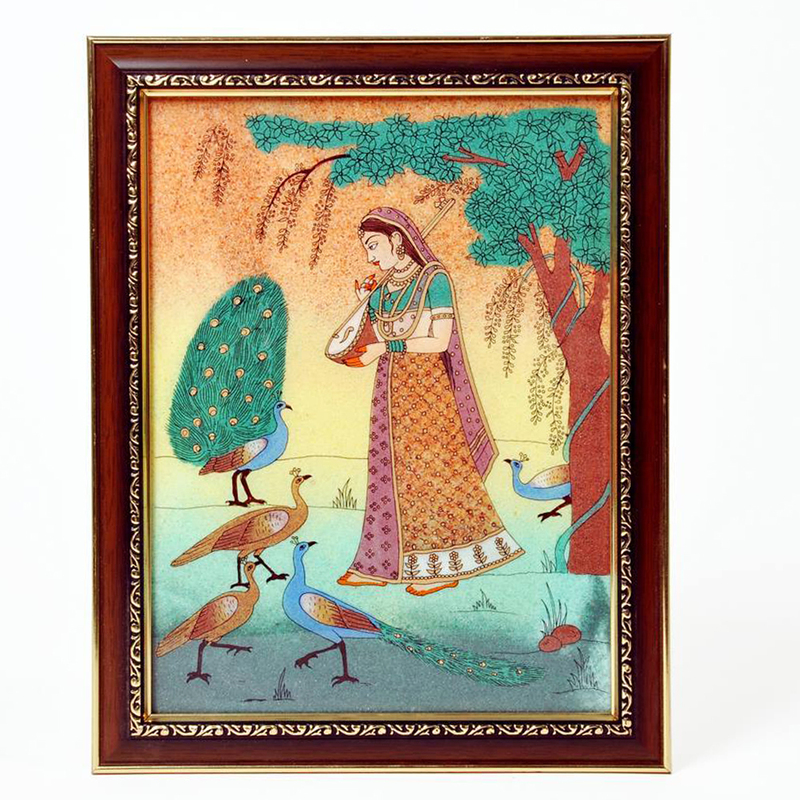 This simple wooden painting depicts a women and two peacock in front of her. This picture again focuses on rajasthani culture and tradition. Brilliant colors Read More..have been used to beautify the image. A garden area is illustrated through this picture. Brown border suits this picture in color contrast. Give the walls of your house a touch of aesthetic beauty with this picture. Show Less..